There’s a lucrative career opportunity just waiting for anybody in the hip-hop/ R 'n' B community prepared to study for their accountancy exams. 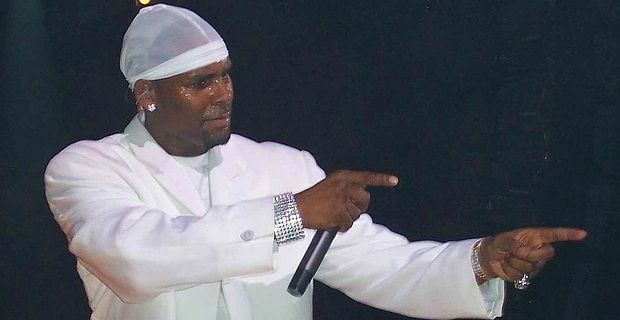 After the news that Lauryn Hill was facing charges of tax evasion, it appears that R Kelly also owes $5 million in unpaid taxes. The shortfall stretches back as far as 2005. The Internal Revenue Service, much like our own tax authorities, does not take kindly to explanations that artists were too busy chillin’ to fill in the forms, and Kelly could soon be hiring the same fiscal lawyers as Hill. Happily Kelly has a new album ready for release. Write Me Back is his 11th album and is preceded by the track Feelin' Insolvent, sorry Feelin’ Single. Copies of the album come with a pre-addressed postcard so you can write to the singer, maybe offering a few quid towards his legal costs, or at least some advice on allowable deductions for self-employed soul stars. To be fair Kelly has been pretty busy of late, working on his memoirs, entitled Soula Coasta: The Diary Of Me (going by that title, the man probably needs an editor almost as urgently as he needs an accountant). He is also organising a Love Letter Cruise round the Caribbean for wealthy fans prepared to stump up upwards of $1000 for five days of shows and dance lessons. He is also hard at work on a "hip-hopera", entitled Trapped In The Closet. Rather ominously, Kelly said he was looking for investors to put some cash into the project. Potential backers might be advised to ask a few pointed questions about ring-fencing before signing their cheques.